The Dodge Durango seems to be a favorite of the editors at Consumer Guide® Automotive. Since 2008, the Dodge Durango has captured the award-giving attention of the editorial staff and the publication’s title of Large SUV Best Buy due to its class-leading towing ability, aggressive styling, modern tech, and dependable utility. “There’s a lot of good product hitting the market these days, but some designs are so well executed that they endure the test of new challengers. 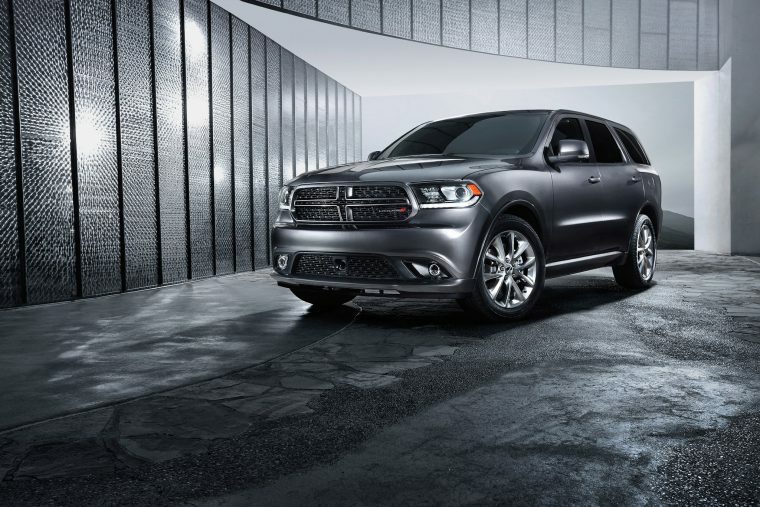 In the cases of the Durango and Ram, that is especially true,” said Tom Appel, Publisher of Consumer Guide® Automotive. Should You: Buy or lease your next car? The 2018 Dodge Durango is available at seven trim levels — SXT, SXT Plus, GT, Citadel, R/T, Citadel Anodized Platinum, and SRT®. The SXT and SXT Plus trims are equipped with a 3.6-liter V6 engine with ESS mated to a six-speed automatic transmission, which generates 293 horsepower and 260 lb-ft of torque. The GT, Citadel, and Citadel Anodized Platinum trims are also equipped with a 3.6-liter V6 engine with ESS mated to a six-speed automatic transmission. This powertrain generates 295 horsepower and 260 lb-ft of torque. The R/T trim is equipped with a 5.7-liter HEMI® V8 engine mated to an eight-speed automatic transmission, and this powertrain generates 360 horsepower and 390 lb-ft of torque. The SRT® trim is equipped with a 6.4-liter HEMI® V8 engine, also mated to an eight-speed automatic transmission; this powertrain generates 475 horsepower and 470 lb-ft of torque. To handle its impressive power and rugged capabilities, the 2018 Dodge Durango offers advanced safety technologies as standard features including a ParkView® rear back up camera, Hill Start Assist, Trailer Sway Damping, Traction Control, Electronic Stability Control (ESC), and advanced multi-stage front airbags.